Silliman University signed a memorandum of understanding (MOU) with Pamantasan ng Cabuyao Aug. 31. The partnership agreement was signed by Pres. Betty Cernol-McCann and Vice Pres. for Academic Affairs Earl Jude Cleope for Silliman and Cabuyao mayor Rommel A. Gecolea and Pres. Isabel Inlayo for Pamantasan ng Cabuyao. 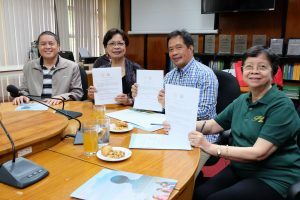 A delegation of university administrators and LGU officials led by Mayor Gecolea visited SU to meet its administrators and learn from the success of the Dumaguete-based university. Mayor Gecolea said he was advised to come to Silliman by his friend Dumaguete mayor Felipe Antonio “Ipe” B. Remollo. Pres. McCann said Silliman would be happy to help the young educational institution. “We were established in 1901, and you in 2002, so we have an edge of one century,” she remarked. “You’re now taking baby steps; we will help you till you can walk and run. 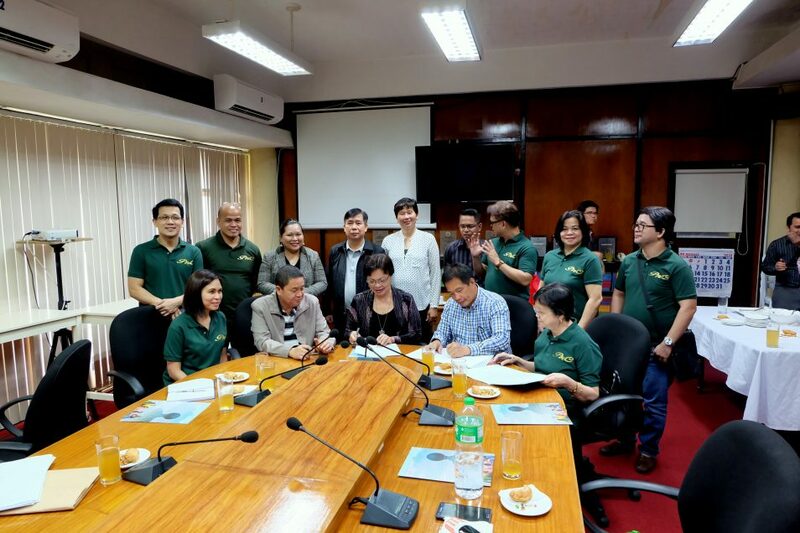 ” The SU administrators answered the questions of the Cabuyao delegation and witnessed the MOU signing afterwards.